I just finished chapter two of James G. Crossley's Jesus in an Age of Neoliberalism. I can tell already that I'm going to love about 80% of this book, perhaps more. This is my way of saying that I absolutely love this book so far. Crossley has a nails-scratching-the-chalkboard thing going for him. He tells you right up front that he's going to annoy the hell out you and he doesn't disappoint. I don't happen to mind being annoyed if I'm also entertained once every few pages. I had to force myself to put the book down to pound out a few thoughts. I honestly cannot wait to read his critique of bibliobloggers in chapter three. Crossley swims gracefully from one complicated topic to another. He moves fluidly from power theory, the idea of a "liberal centre", Bart Ehrman, N.T. Wright, economics, popular media, liberation theology, etc. Normally, one might be tempted of accusing an author who attempts such a wide scope of "tinkering" rather than analyzing. The beauty of Crossley's introduction is that he is able to find common cultural threads that tie together conditions that seem disconnected otherwise. My interest is piqued from the start. Crossley points out that authors who claim to represent a broad scholarly consensus (e.g. Bart Ehrman) tend to juxtapose and exploit fringe scholarship so to allow more mild theses to appear sane by comparison. The payoff here being the point that the "credible centre" is no less a scholarly construct than any other. It might be worth noting that Crossley points to E.P. 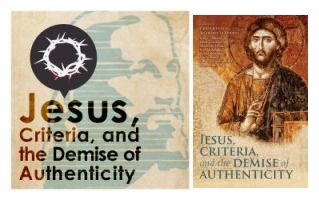 Sanders, John P. Meier, and Dale C. Allison Jr. as the accepted "centre" construct with in historical Jesus studies. His summary and adaptation of analytic / political philsopher Noam Chomsky is worth reproducing: "Chomsky spoke of what is perceived as the radical left in universities. He argued that it is possible to enter academia and be radical as long as the questions asked remain at least relatively incomprehensible or the dangerous questions of contemporary politics are not systematically addressed head-on and clearly. The scholar may feel like they are not selling-out by acting as, for instance, a Marxist economist, but in reality the individual has been neutralized and can keep working without being much of a danger to anyone. This seems to be a similar process to what is happening with the Jesus-the-radical in scholarship. By pushing criticism of imperialism back to the days of the Romans and Herodians, the effectiveness of criticism of the present has a tendency to be nullified..." p.15 (I'm not checking my work for typos here, so don't copy and paste this). I do chafe a bit against his definition and use of "postmodernity" and "postmodernism" in chapter two. See my own take on this topic here. ...more on Crossley coming soon. The most recent edition of Bulletin for Biblical Research includes a review of my and Larry Hurtado’s Jesus among Friends and Enemies by Matthew D. Jensen on 441–2. Overall, it’s a positive and helpful review, for which I’m grateful. I want to draw attention to something he says at the end of his criticisms, though, because they’re very pertinent to some other discussions we’ve had on this blog. Of course, as editor, I respectfully disagree that the layout of the book devalues the Gospels as historical sources. The layout of the book serves a pedagogical aim that the Introduction clearly sets out. 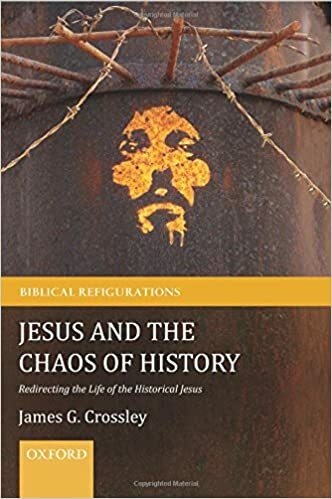 And, as the author of the final chapter, I underscore that the main thrust of that chapter is about how the Gospels have become more prominent as historical sources in historical Jesus research on methodological grounds. My real concern, though, is the type of slippery-slope thinking at work in these criticisms, a thinking that was all too frequent among my and Anthony’s detractors at our former employer. Jensen’s criticisms focus not on what the layout sets out to accomplish (giving students an appreciation of the broader historical record and an appreciation of the intricacy of the Gospel narratives) and whether it does so, but rather “the appearance” that the method might give (from one perspective) and what this appearance “can” “in turn result in,” which happens to be another “appearance,” this time one that doubts the historical reliability of the Gospels. All of a sudden in the space of two sentences, we’ve gotten from the book’s layout to the position that, apparently, nothing in the Gospels that carries a literary purpose is historical—a position that no single contributor to the book would affirm. And we’ve gotten here not from actual arguments and statements, but rather impressions, and impressions that lead to impressions. Ultimately, he finds dissatisfaction in the book’s failure to resolve an issue that it never set out to resolve (the historical reliability of the Gospels). I suppose this is all worth mentioning because, at the end of this trek through Jensen’s impressions, we are back at the Modernist-Fundamentalist debates that divorced “history” from “literary purposes.” Reconciling those two things has been hard-fought historiographical ground, which some of us (Anthony and I included) would not want to give up. Parts I and II of my interview with Prof. Fredriksen are here and here. My thanks to Paula for her time. ACLD: Presumably, there were multiple apocalyptic preachers, itinerant exorcists, etc. in Israel circa first century. In your estimation, what was it about Jesus’ career that was most memorable? Or, what made him different from others of similar ilk? PF: What made Jesus different was the impact that he had on his followers — or, more cautiously, what was different was not Jesus, but Jesus' followers. They were so convinced that he was right in his apocalyptic conviction that the Kingdom of God was at hand that (some of them? many? most?) were also convinced, despite their certainty about his death, that he was raised — itself an apocalyptic 'sign' that validated their convictions. The second distinguishing feature about Jesus is that the movement that formed around his memory and mission, within very few years, penetrated diaspora synagogues, where it encountered interested pagans (= "god-fearers"). Their subsequent willingness to relinquish their own native gods and to worship only the god of Israel was itself another confirmation/validation of the movement's message, that the Kingdom of God was at hand. In short, what distinguished Jesus from other apocalyptic teachers was how long his followers were able to continue in their conviction that his prophecy was true. By the time that that prophecy is definitively disconfirmed (say, e.g., by the time of the composition of the Gospel of Luke), it is re-interpreted rather than discredited. By constant post-mortem morphing, Jesus' message had a much longer shelf-life than that of, say, Theudas or the Egyptian. There are many, many of us who think that the Gospels are best understood as historical fictions. I am less comfortable with this genre designation than others because this category projects too much baggage onto ancient texts. I am more comfortable calling the Gospels “ancient biographies”. Please note that ancient biographies act a whole lot like what we would now call “historical fictions”. And if you think that your favorite Bible professor or pastor has a different view, ask him and her about the genre of John’s Gospel. Unlike many of my colleagues, I think that every word in the Gospels reflects historical memory (except καί; all of those conjunctions were added by the Judaizers). I think that bracketing out the “fictive” portions of the Gospels is a deletion of valuable historical information. Even if we were to label the Gospels “revisionist history” from Matthew 1 to John 21, we would still have four extremely valuable narratives that guide us toward a reconstruction of the historical Jesus. Revisionist histories provide us with extremely valuable historical data. I would point you to Dale Allison’s comments on the temptation narratives in this book. For example, let’s look at an example from contemporary American presidential politics. In 2011, Mitt Romney spoke openly about Obama’s “timetable for withdrawal” of U.S. troops from Afghanistan. Romney called this Obama’s biggest blunder in office: "In Afghanistan, the surge was right, announcing a withdrawal date was wrong. The Taliban may not have watches, but they do have calendars." No less than a year later, Romney adopted this very policy, claiming to withdraw troops in 2014. Part I of my interview is here. 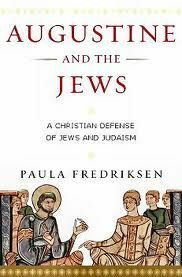 I started by asking Prof. Fredriksen about her book Augustine and the Jews. ACLD: Augustine (like many others) seems to have continued the line of Christian supersessionism that he inherited. Do you think that this line was a misappropriation of Jesus’ apocalyptic urgency? I.e. was Jesus’ message of good news for insiders/bad news for outsiders the root of the problem? PF: Gentile Christian supersessionism is a product of internal Christian arguments in the late first/early second century. Paul was not a Christian. He was an apocalyptic Jewish visionary who was convinced that he was right about who the messiah was, and about what time it was on God's clock: mostly he argues with or against other Christ-following Jews. Once the ethnic context of the readership of hellenistic Jewish texts (LXX, and the texts that will later make up the NT) shifts, their intra-Jewish arguments become anti-Jewish arguments. Jesus' apocalyptic urgency — again, about what time it was on God's clock — is not a first-order cause of any of this. Thanks to all of you who entered our book giveaway. Congratulations to Will Varner who won a copy of Jesus Among Friends and Enemies by Keith and Hurtado. Our next drawing will be posted soon. I might like this for my Life of Christ course. Would the person who entered this comment at 9:17 AM on Oct 16th please comment below with your email address. It will not be visible to the public, but we can use it to get your contact information. ACLD: One of the crucial points drawn out in your Augustine and the Jews is that Augustine became something of an apologist for Judaism against Faustus. Particularly, Augustine defended the importance of Jesus’ Jewishness. Do you think that Augustine was somewhat unique among the Christians of his time? PF: Against Faustus, Augustine is an apologist for catholicism. In its defense, he deploys a rhetorically constructed "hermeneutical Jew" and "hermeneutical Judaism" that serves to articulate catholic theological points of principle (creation, incarnation, fleshly resurrection). His Jewish Jesus — halachically observant, traditionally Jewish, and so on — is part of this scheme. Origen, another close reader of texts, also observed against Celsus that Jesus kept the law; but Augustine's Jewish Jesus is much more fully developed, because of the particulars of Faustus' attack. As a 4th-century theologian, Augustine made a theological case for a law-observant Jesus that happens to make good, modern, secular historiographical sense as well: to wit, Jesus as a truly human being ("incarnate," in Augustine's language) lived within — not against — the religious traditions/context of his people. In this respect, Augustine went further in acknowledging the normative Judaism of Jesus (and of Paul) than many of our colleagues do! A pristine review copy of this book arrived in the mail today. My gratitude to Equinox. I'll be offering a few initial thoughts in the coming weeks, but I must say that the cover art is fantastic. As someone who has had cover art insecurities (my therapist says that I'm making progress), I might be more sensitive than most to such issues. Really, a fine looking final product. Anthony Le Donne (PhD) is the author of Historical Jesus: What Can We Know and How Can We Know It? 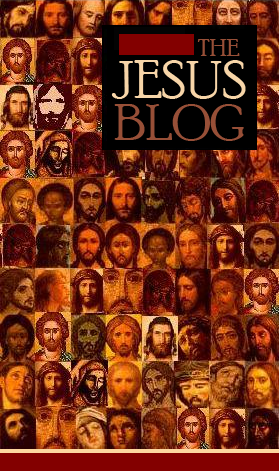 Bible Blogging:The Internet is a medium that is unparalleled in its reach. Never before have average people been able to reach a global audience with such ease. Blogging has profoundly influenced not only the nature of the internet today, but also the nature of modern communication. While many may rightly point to the democratic nature of blogging whereby anyone anywhere with internet access can provide perspectives that challenge dominant and possibly oppressive views, blogging has also spawned much misinformation that is presented as “truth” and “facts”—especially misinformation associated with religion in general and the Bible in particular. 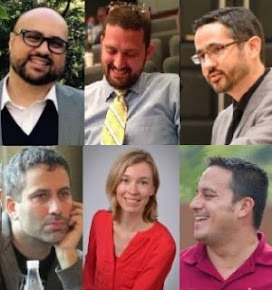 This course will have two primary objectives: (1) to analyze a wide variety of religious blogs in an attempt to determine their objective and to assess whether they promote informed biblical scholarship or promote misinformation and uncritically examined beliefs, and (2) to teach students how to take what they are learning as a result of their own academic research and inquiry in religion to create a blog. Students will learn steps for setting up blogs and ways to use blogs, as well as design and content strategies. The class will be taught by Guy D. Nave. Guy is an observer of the blogosphere, but not a participant. Until very recently, I could say the same thing about myself. So to my question: are there resources that an instructor for this kind of course should know about? If you were to teach or take a class like this, what readings, topics, and learning outcomes would you want to see? Your input will be greatly appreciated. Over at the Wall Street Journal, Erica Orden informs us that Hollywood has turned again toward screenplays that develop stories inspired by biblical narratives. Yes, I did use the plural "screenplays" because there are a number of such projects in the works. Russell Crowe will play Noah. Will Smith will make his directorial debut with a film about Cain. And yes, for those of you who are salivating for controversy, they are making a "prequel" to Mel Gibson's "The Passion of the Christ" called "Mary, Mother of Christ" (Odeya Rush plays Mary). This time, Gibson is nowhere near the production. But, no joke, Joel Osteen is one of the producers. I wonder if the baby Jesus will have excessively white teeth. As is often the case, these producers reach out to religious and historical experts to give their stamps of approval. Producers tend to be concerned about the film's representation of a particular time period. One of the most notoriously flawed films in this regard is Scorsese's "The Last Temptation of Christ." While the general public was scandalized by the notion of Jesus' sexuality, most scholars were laughing at the film's anachronisms, poor acting, and odd costume choices. Harvey Keitel, it seems, borrowed his costume from the set of Little Orphan Annie, the musical. I enjoyed "Last Temptation" (despite its many unintentionally funny parts) because it explored themes, developed characters, and put forth something original. And, conversely, I hated Gibson's "The Passion of the Christ" because it resisted themes, gave only nominal efforts toward characterization, and put forth something flat and unoriginal. While many were crying "but that's not how it really happened! ", I was thinking "why does that man-baby need to be so hairy?" Which is to say that I never entered the film as a participant; I was never drawn into the narrative. When I go to the movies, I am ready to suspend disbelief. Not every historian is. "Abraham Lincoln, Vampire Hunter" was just fine with me. I'm looking for creativity and I don't really care about a one to one ratio between fact and story. In general, this is an absurd way to think about history and art both. The scenes I liked most in Gibson's debacle were the scenes that departed from the Gospels. In short, I am not offended by new depictions of classic narratives. I am offended by poor story-telling. I truly hope that next year's Bible flicks will be better than previous attempts. We’re continuing our giveaways of copies of our books here at The Jesus Blog. 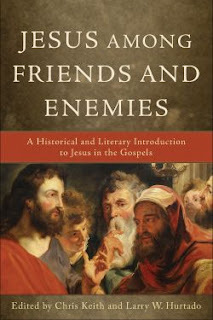 Baker Academic will be giving a free copy of my and Larry Hurtado’s Jesus among Friends and Enemies: A Historical and Literary Introduction to Jesus in the Gospels! There are once again three opportunities to enter the contest—comment here, sign up to follow the blog (and leave a comment saying that you did), and share this post on Facebook (and leave a comment saying that you did). I found this particularly challenging today. ps. I forgive your Yankees for paying Alex Rodriguez more than the total worth of the Queen of England. The concept of "insiders and outsiders" has been a reoccurring topic of interest for me. To some extent, this concept is a form of the "us and them" paradigm, but it is a bit different. I have learned from Jewish-Christian dialogue that an "us and them" stance can be the starting point for hospitality. In inter-religious dialogue, there is just no use pretending that we're all the same. And once acknowledged, a path of hospitality can be followed. It is as simple as acknowledging that a visitor in your home does not live there, but he or she is welcome all the same. There is also the positive spin that the us-group's well-being is tied to the well-being of the them-group. The darker side of this coin is the "insiders and outsiders" paradigm. This is characterized by a territorial and inhospitable stance toward those who do not exhibit the markers necessary to be trusted. Jesus said that "He who is not against us is for us" (Mark 9:40). (Jesus said) "He who is not with me is against me." (Luke 11:23). Now, depending on one's way of reading Scripture, there are several moves that an interpreter can make. 1) Both are true and Jesus said both. Jesus found himself in two different contexts and different contexts (sometimes) demand different answers. 2) Luke took the saying from Mark and deliberately changed it to suit his literary agenda. 3) As a saying of this ilk circulated in oral tradition, it was remembered differently by different communities. 4) There is no reason to think that Jesus said either of these; both were invented independently by different groups within early Christianity. 5) Jesus said both and meant both but not concurrently. His early career exhibited an inclusive stance, but he became increasingly exclusive as his career progressed. Which way of reading is most helpful for explaining the relationship between these two sayings? Is there another way not represented in the five listed here? And what does such variance tell us about Jesus (if anything)? A very merry birthday shout out to James D.G. Dunn! May your year be filled with Queen, the Ink Spots, and Single Cask warmth. 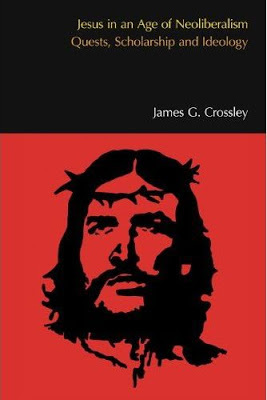 Prof. Craig Keener of Asbury writes on Jesus' non-violent program. Here is the link. The Jesus Blog thanks you for tuning in this week. Here are a few highlights. 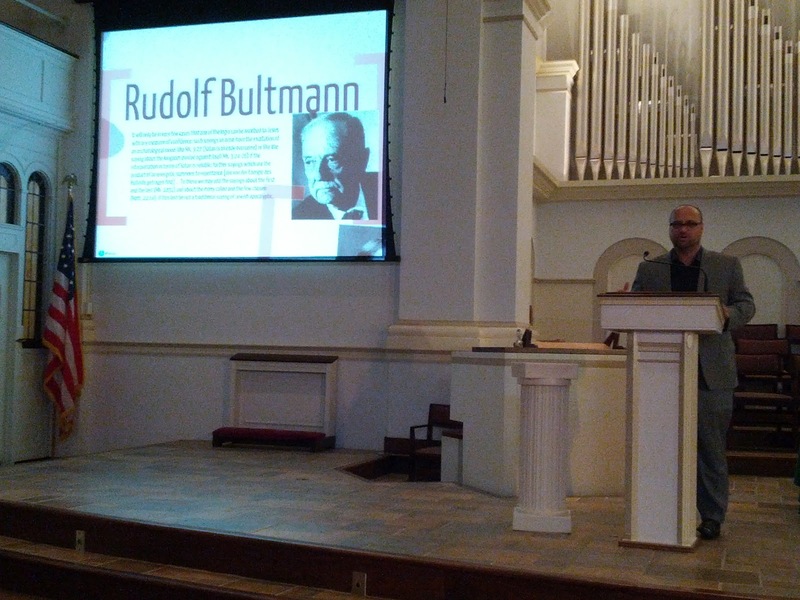 I told of my discovery of "Social Memory" theory and my early discussions with James Dunn and Martin Hengel about its potential for Jesus studies. I suggest that it is the continuity of memory that makes identity possible. You can read my subtle name dropping here. Chris announced a book giveaway of the Keith and Hurtado text. Click here to throw your hat in the ring. I wrote words like "Obama" and "Romney" in conjunction with words like "Jesus". Then I act all holier than thou. Read it here. I discussed the "Mrs. Christ" fragment and the possibility that blogs and youtube might be an important part of the peer-review process in the near future. Then I was set straight by Peter Head. See here. In an attempt to push Chris' buttons, I listed the five most common fallacies about the life of Jesus here. I talked about how the blogosphere changed the terms of my departure from Lincoln, IL here. I argued that much is left wanting in Kaehler's supra-historical Jesus and Scot McKnight's adaptation of this thesis here. Chris reflects on the controversies associated with Emmanuel and LCU here. I read the statement, and was instantly disappointed to find that it was not, in fact, an honest statement of the facts surrounding the Rollston situation. I immediately called Emmanuel and informed their representative that there were a handful of problematic and inaccurate claims made in President Sweeney’s statement. I pointed out in specifics what those problems were (some minor, some major), and it quickly became clear to me that Emmanuel’s representative was not privy to all of the details of the case at hand—a fact which I most certainly did not hold against the representative. I said that I would not be favorably disposed to publishing the statement as it stood, and that it wouldn’t at any rate reflect very well on Emmanuel were it to be published. I suggested they consider addressing the problems, and then send a revision to me for publication. The representative thanked me, and asked me to hold off on publishing the statement pending further research, and another meeting of the administration tomorrow (Friday the 12th). In short, an official Emmanuel representative asked Mr. Stark to publish (on the blog associated with the above link) an official statement on the matter from Emmanuel President Mike Sweeney. Mr. Stark decided that he could not, in good conscience, publish a statement that was not "honest" (his word). The statement from President Sweeney is included in the post. About eight years ago, back when my The Historiographical Jesus was just a few chapters long, I was asked to present a paper at the Fifth Durham-Tübingen Research Symposium (2004). About the same time that James Dunn was receiving rave reviews for his Jesus Remembered, I had stumbled upon a book called Social Memory by James Fentress and Chris Wickham. Professor Dunn and I had discussed his misgivings with the approach of Fentress and Wickham at length and on more than one occasion. But it became clear during the symposium that he and I were going to agree to disagree on the value of this “new theory”—the truth is that folks like Jan and Aleida Assmann were in the process of reviving the work of Maurice Halbwachs (1877–1945) for about almost two decades. However, for Jesus studies, the Durham-Tübingen symposium was one of the very first English-speaking discussions of Halbwachs’ conception of “Social Memory” (on the other side of the pond, Alan Kirk and Tom Thatcher were making similar waves). 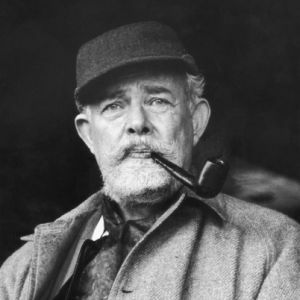 Dunn’s opinion at that time was that the Social Memory folks were overly enamored with the creative aspects of memory. For Halbwachs and many of his modern adherents, memory is constructed and reconstructed in the ever-present now. That is to say that the present context (cognitive, social, cultural, etc.) rules the roost of memory. Professor Dunn was concerned that Social Memory folks had overemphasized memory’s creativity and underemphasized the necessarily “retentive” aspect of memory. In my paper for the symposium, I suggested that Social Memory might provide Jesus studies with a few helpful categories. 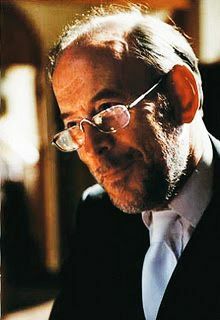 In my view, Halbwachs needs to be critiqued heavily before any of his insights can be applied to the historical Jesus. One of the keys to my program, and this can be seen in my most recent book, is that memory most often exhibits an aspect of “continuity”. So while memories shift with every new social context, these shifts (most often) are slight and unrecognized. This allows for the perception of continuity between past and present. It is this continuity, I suggest, that maintains our identity—by “our” I mean both individuals who are part of groups and of collective identities too. In short, memory shapes identity. For Jesus studies, we might say that the memories of Jesus “commemorated” in the Gospels (and elsewhere) tell us both about the identity of the early church and also about the initial perceptions of Jesus. I think that there must be a continuous chain reaction of memories between these two identities. On this point, I think Dunn and I might have more in common than those symposium papers will show. Moreover, I think that both of us come to conclusions that lean toward Social Memory theorist, and Abraham Lincoln scholar, Barry Schwartz. However, I have a particular affinity for the work of French theorist, Pierre Nora, who is sort of the “Bizarro-Dunn” at every turn when it comes to memory theory. Nora, with his total disinterest in the continuity of memory, is just the kind of Social Memory theorist that Dunn criticizes. All this is to say that wherever else Professor Dunn and I disagree, his thesis about Jesus’ “impact” upon the memories about him is quite compelling. 1) The elder’s status among the community is at stake. In order to avoid mutual shame and dismay, group memories will be employed out of devotion. 2) Institutional memory is at stake. In the face of the loss of important autobiographical memories, the community will reinforce their own collective identity with collective memory. Again, and here I attempt to tie Professors Hengel’s observations to my previous point, autobiographical memories and collective identity are most often continuous. This is especially true for personalities (like Jesus) who gather followings to themselves. In the face of losing the personality that most formed the collective identity, groups will commonly reinforce their own identity (that which gave their membership meaning) with memories that run continuous to their elder. Of course, this will look differently depending on whether the elder’s death has been anticipated. In the case of Martin Luther King (representing a figure who died suddenly), we witness collective memories that coalesce around those who knew him best. In the case of Bob Dylan (representing a figure who was still alive on his 70th birthday), we are privileged to coalesce our memories around his guiding autobiographical memories. In either case, for those of us who find our identities around the orbit of these cultural giants, our memories are only supportive of our identity insofar as they cohere with the autobiographical memories of the central personality and those who presently guide these memories. With venerable figures like Dunn, Dylan, King, and Hengel, we do our best to employ our memories in appropriate ways. Because we honor them, we enshrine our memories, create monuments of memory, create pedestals, publish Festschrifts and the like. We should expect no less with the disciples of Jesus. At the same time, part of honoring our elders is to do right by the impacts of the personalities that set these spirals of memory into motion. This is so because collective identities are continually reshaped to coalesce around authoritative guides of autobiographical memory. Could it be that Jesus is sitting out this election cycle? "Religion is always a factor in American politics. Perhaps this will prove an understatement in 2012." I am not an expert on the topic of Gnostic Christianity, gender studies, or textual criticism. I am just a wide-eyed Jesus historian with a big dream and the faith of a mustard seed. My dream was that the San Francisco Giants would win the World Series. In this post-2010 resurrection reality, all I have left is this magic bean I scored from a shifty dairy farmer. So I have to rely on the kindness and expertise of scholars who know a thing or two about Coptic fragments. Today I had the pleasure of sitting down with a very fine Coptic scholar. I'm not too sure what constitutes a social media taboo, so I won't give his/her name. 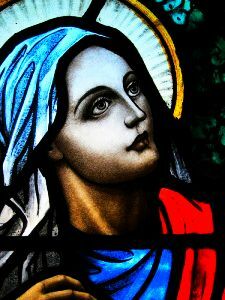 What is important, and this is true of my last three conversations with such experts, is that this scholar was utterly perplexed at the odd and awkward results of the so-called "Gospel of Jesus' Wife". The latest suggestion is that the fragment revealed by Harvard scholar Karen King is a forgery based off of a webpage that shows the Coptic Thomas text with English subtext (i.e. an online interlinear). Simply put, a person with only a very basic grasp on the language copied a couple phrases from the web. What troubles me, and most of the experts I've spoken with, is not the possibility of forgery, but the embarrassment that this brings to several scholars with very fine qualifications. How on Earth did this fragment pass the vetting process of three of the very finest Coptic scholars in the world? While Karen King is left hanging in the wind, the peer reviewers of Harvard Theological Review remain comfortably out of the public eye. 1) Jesus was born in the year “Zero” or “1 AD”. This fallacy comes to us from Dionysius Exiguus in (what we now call the year 525 of the current era). In adding the number of years of successive Roman officials from the founding of Rome to his own time, Dionysius miscalculated the beginning of the “Anno Domini” dating system. 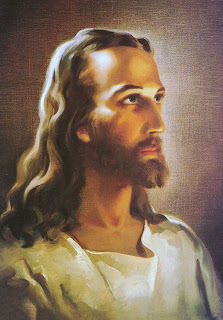 He calculated that Jesus was born 525 years before the date of his study. It seems that most scholars prefer to follow Matthew and Luke concerning the role of Herod the Great in this episode of history. If Herod was involved in some way, he would have had to have been alive (or so I am told). Herod, by almost everyone’s watch, died in what we would now call 4 BCE. So the short answer is that we don’t know when Jesus was born, but it was probably not when Dionysius said it was. Most scholars give a date circa 4 BCE. There never was a year zero—Dionysius conceived of the calendar with 1 BC followed immediately by 1 AD. I should point out something that is seldom acknowledged: Dionysius’ magnificent legacy should not be overshadowed by an error of arithmetic. Math is for suckers anyway—ask my daughter. Okay, yes, I write a chapter in this book, so I am not the most impartial of judges. But in my defense, my name was a last minute addition to this otherwise "who's who" roster and I had nothing to do with the idea or the layout. It is in these two areas that this book shines brightest. Also, I should point out that I get no additional scratch for good book sales. One can only know of a historical figure insomuch as one can explore his/her relationships. Jesus only makes sense when he is defined against his contemporaries. This book draws out the many and varied relationships in Jesus' life like no other I've read. Stuckenbruck's original contribution on the characterizations of demons in the Gospels is worth the price on the cover. Helen Bond's masterful chapter on the politics in Jesus' context is perhaps the most well-balanced treatment I've encountered. I have used Warren Carter's discussion of the "12" disciples multiple times in my classes. Almost everything by Richard Bauckham should be required reading. For most of us who teach "Jesus" in the classroom, there is always the tension between (a) discussing the literary features in the Gospels and (b) Jesus as a historical figure. This book balances both elements with aplomb. Indeed, and I must gush a little, this book takes seriously the necessary marriage of literary forms with historical episodes. One does not find this often in a book that is so accessible. So you need a dissertation topic (Installment 2) – Was the ‘Anonymous Egyptian’ a Jesus copycat? At this time there came to Jerusalem from Egypt a man who said that he was a prophet and advised the masses of the common people to go out with him to the mountain called the Mount of Olives, which lies opposite the city . . . For he asserted that he wished to demonstrate from there that at his command Jerusalem’s walls would fall down, through which he promised to provide them an entrance into the city (Ant. 20.8.6 §169-170; cf. J.W. 2.13.5 §261-163; Acts 21:38). Is it more likely or less likely that some of the followers of this prophet (several thousand of them by Josephus’ count) were also witnesses to Jesus’ preaching? If there was some overlap, could it be that this episode provides further (non-Christian) evidence of Jesus’ impact? Go ahead, find a recently written, unpublished dissertation on this topic! I dare double-dog dare you. 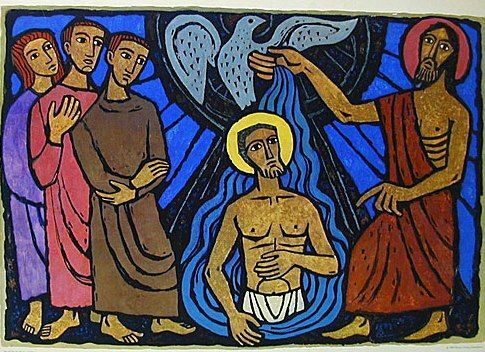 So you need a dissertation topic (Installment 1): Was Jesus a disciple of John the Baptist? Almost every historical Jesus scholar who doesn’t have the word “conspiracy” in their first paragraph argues or assumes that Jesus began as a disciple of John the Baptist. Admittedly, I’m partial to this view myself. But where is the evidence? If one assumes that Jesus was baptized by Jesus, does this show that Jesus spent much time with John? If one assumes that Jesus and John were cousins (less are inclined to such a view), does this demonstrate that Jesus sat at the feet of John? All of the canonical Gospels acknowledge that John’s career was in some way connected to Jesus’ career. 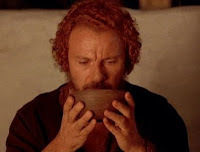 Again, why assume that Jesus was a disciple of John the Baptist based on the traditions we have? There are several possible ways to explain this connection and none of these are given much thought by Jesus scholars. Perhaps Jesus and John admired one another from afar. Perhaps Jesus’ relationship with John was more like that of Bob Dylan and Woody Guthrie – i.e. maybe Jesus popped into meet the crazy guy once or twice just to check him out. Perhaps the evangelists extrapolated the relationship between John and Jesus from overlapping sermon topics that had circulated and conflated in oral tradition. But, and here is the beauty of this topic, one does not need to prove an alternative theory in order to point out the frailty of the assumptions from which most Jesus historians build. There is much work to be done and I do not intend to pursue this myself. Have at it! Be sure to read both of his posts on this passage. The most recent publication on this passage is by Anne Lapidus Lerner in this book. Saw Affleck's ARGO last night. Good film; if it wasn't inspired by a true story, I might say it was a bit formulaic. I mention it here because one scene is filmed in the Hagia Sophia and the cover art for Jesus, Criteria and the Demise of Authenticity gets a cameo appearance. 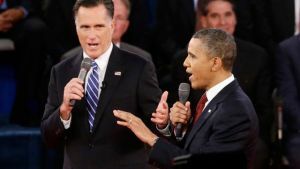 In the season of American presidential campaigns it is quite difficult to avoid the talking points. So I am told. I really wouldn’t know since I don’t try to avoid them. I’m a politics junkie. As a social memory theorist, I find the whole process fascinating. It’s a bit like watching a Mel Brooks flick for the tenth time; I can’t help but watch the whole thing become more and more absurd, even if I know the outcome. 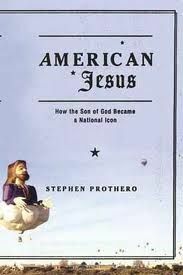 If you’re like me, and I pray that you’ve chosen a more pious path, I would highly recommend Stephen Prothero’s American Jesus: How the Son of God Became a National Icon. Your standard U.S. presidential campaign debacle involves one middle-aged-white-millionaire-agnostic -who-pretends-to-be-a-protestant-farmhand and a clone of the first guy who has a slight variation on a few key issues. It’s like watching a boxing match between two twin brothers—only one parts his hair on the right while the other does on the left. For the bulk of American history this has been so. Hell, it wasn’t until the 1960’s that we got our minds around a Catholic in office. We have never elected a woman candidate. Never an Italian candidate. Never a Jewish candidate. But 2008 was very different and 2012 promises even more plot twists. This is the first I'm hearing of this book. Happens to have come onto my radar at the perfect time as I am discussing ethnic portraits of the American Jesus in my class. Last year I had the pleasure of sitting on a book review panel with James McGrath at the Stone-Campbell Journal Conference. James, of course, writes one of the most well respected blogs in religious studies and I introduced him as such at this particular conference session. Tongue-in-cheek, I mentioned that James would likely blog about the conference in the next few days. A cheap laugh followed. James quickly pointed out that “the next few days” was almost an eternity in the blogging world; to say that he’d get to it in a “few days” revealed my lack of confidence in him as a blogger. On the contrary, it revealed my utter ignorance about blogging. As you will see, the last laugh is his. 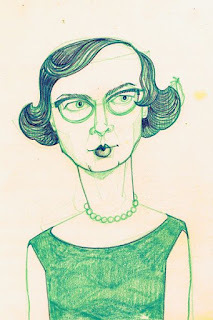 I must admit that I associated a certain degree of triviality with blogs. And while my impression was probably not entirely misplaced, I knew all along that I was a hypocrite. I knew all too well that a good blog review for one of my books was a good thing. While I was grateful for internet praise, I wanted to pretend that I was “above it”. When I confessed my hypocrisy to Padre McGrath, he (probably tongue-in-check) suggested that I might do penance by starting a blog myself. The seed was planted I suppose. What happened to me over the next few months has been oft discussed. Due to a controversy related to my Historical Jesus, my career took an odd turn. Due to a placement of my signature, I am not at liberty to say much in the way of specifics. What I can say is that my situation was helped by the online support of Larry Hurtado, Jim West, Pete Enns, Ben Witherington, Mark Goodacre, Michael Bird, James Crossley, Judy Redman, Brian LePort, Jared Calloway, James McGahey, Joel Watts, John Loftus, Chris Skinner, Brian Fulthorp, and many others. A few colleagues of mine took a list of blog URLs (complete with estimated page hits) to my former employer and preached of the ills of becoming a pariah institution. While I cannot write about the conditions of my departure from Lincoln, Illinios, I can write that I was offered my job back. This happened shortly after the religious studies blogosphere had its say on the matter. Had it not been for the internet support I received, this simply wouldn’t have happened. I declined to return due to ideological differences, but the offer itself is significant. You see, my story is not all that unique. We can all name half a dozen examples of individuals who find themselves in similar situations. Where my story differs is in the end result. At the end of the day, ideologically driven institutions (especially those dependent on tuition dollars) must answer to a wider constituency than previously assumed. So I know a bit more about the value of blogs than I previously assumed. I would like to offer my sincere apology and gratitude to James McGrath et al. for working tirelessly to create this network of colleagues. I think that Kähler’s thesis was a brilliant and influential one. It created space for Jesus in the hearts and minds of a people who would have otherwise abandoned all ties to Christianity. In other words, Kähler’s thesis was exactly the sort of thing one would expect from a hyper-modern context. But it had fatal flaw and I fear that Scot’s thesis has the same flaw. Kähler’s Christ was a “supra-historical” figure. This is to say that, for Kähler, Christ had transcended the mundane particularities of first-century Judea. This Christ could be cosmic in scope and personal in character. Of course, this is quite similar to the Jesus of evangelical veneration. But, and this has been overlooked by too many historical Jesus people, Kähler’s “supra-historical” Christ also transcended Jesus’ Judaism in a context where a Jewish Jesus was desperately needed. In the early years of National Socialism in Europe, it was not uncommon to talk about Jesus over and against Judaism. French polymath Ernst Renan is a prime example of this. For Renan, Jesus was “the destroyer of Judaism.” As the Nazi Party reached the height of its power, Jesus became the mouthpiece of Aryan supremacy [see the magnificent work of Susannah Heschel on this topic]. My point is a simple one: the Lutheran Church needed the historical Jesus during this period but all they had was a cosmic Christ that was untethered from his Jewish identity. The result was disastrous. Ironically, if the Lutheran Church in Germany had paid better attention to the historical Jesus, they would have found a Jesus very much in line with the earliest Christian Creed. Notice here that the first line anchors Jesus to his Jewishness. It is not an incidental or trivial fact of Jesus’ ethnicity or upbringing; it is gospel truth that Jesus was a Jew. This is the very first thing one needs to know about his identity. Tragically, this primary statement of faith had been forgotten in Kähler’s context. And if not forgotten, then trivialized or problematized. Simply put, the Nazi Christians were in breach of the first line of the first Christian creed. Historical Jesus studies, and this has been true of the discipline since Josephus and Augustine, has guarded this element of the life of Jesus. And it is this element that has made the last four decades of Jesus studies the most fruitful in history. 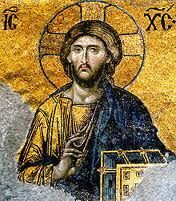 So I must disagree with Scot when he writes that “Historical Jesus studies are decidedly contrarian to orthodoxy and the church and even the Gospels.” The historical Jesus is the Jewish Jesus. This supports an orthodox understanding of Christ. And it is the historian’s job to diligently pursue this Jesus even when church folk have strayed from the path. For more on this topic see my two chapters in this book. Look, I'm not blaming the Holocaust on Martin Kähler. And I am certainly not saying that a lack of historical grounding can lead to Nazism. I'm saying that historical Jesus research should be one voice at the conversation table, if for no other reason than to correct the Church when our Jesuses start looking too much like us. Forgive me this long post. It’s hard to keep up with Anthony’s rate of twenty posts per day, so I’m going to try and catch up all in one. I am supposed to write a wrap-up blog on the Jesus Conference in Dayton surrounding Jesus, Criteria, and the Demise of Authenticity. Something else has stolen my attention, though; namely, the crisis of critical scholarship in theological institutions in American Christianity and especially institutions associated with the Stone-Campbell church tradition, wherein I was raised, educated, ordained, and, until recently, employed. To borrow the wording of Mark Noll’s Introduction in The Scandal of the Evangelical Mind, I write this post as a wounded lover of this church tradition. I used to have no problem identifying with the tradition as such. Yes, some of the fundamentalist factions within the tradition could be embarrassing now and again, but it’s my heritage and there were always scholars like Everett Ferguson to whom I could point as serious academics. These recent events, however, have moved me to a position of being just embarrassed. Indeed, I don’t think I’ve ever been more embarrassed to answer when people ask me what church tradition I’m associated with. Scot McKnight asked me to summarize the major points of criticism to his chapter leveled by folks at last week’s conference. As I sat down to do this, I realized that it might spur some good discussion for this blog. Before I get into the nuts and bolts, I want to thank Scot for his contribution to our book. His voice is always an interesting one that generates fruitful talking points. My thanks to Joel Watts for this photo and for the "Last Supper"
typology. I suppose this makes Goodacre the Christ,,, and me Judas. What value does historical Jesus research have for theological education? Tyler Stewart (a very bright student, Greek teacher, and pastor) reflects on Scot McKnight's chapter in our book here. 10. In many ways your network is more important than your qualifications. It helps to have a variety of folks who know you and like you and will endorse you. This means networking at professional meetings, emailing scholars ahead of time to set up coffee, and traveling (where you can) to meet people in their offices. The wise student begins networking a couple years before they send out applications. 9. Be able to demonstrate some aptitude with modern languages. Even a single course in conversational German is better than nothing. It doesn’t hurt to show that you’ve interacted with a German, French, or modern Hebrew essay in your writing sample. 8. Be very smart. I was given this advice by a very smart seminary professor. I didn’t really understand what he meant at the time, so I pursued a PhD anyway. 7. Sometimes the network of the institution is better than the quality of education that they can provide. For example, if you’d like to study the intersections between continental philosophy and theology, the University of Nottingham might provide the best (or near best) education in the world. But if you want to land a job after you’re done with your education, it might be better to choose a lesser education at a place with a bigger name. Perception is reality in this business. 6. If, as a result of applying to Duke, you sustain a rejection that lasts for four or more hours, consult a physician. 5. When you’re approaching potential PhD supervisors, attempt to figure out what their present interests are. If they are working on a project that is due out in two years, they might be interested in supervising a related topic. 4. Read a few of the scholar’s essays/books before you sit down with him or her. 3. Don’t come off as an admiring fan who is filled with awe. Most scholars (I say “most”) know that whatever celebrity they have is extremely limited. You can say that you appreciate their work without puckering. 2. Don’t be a know-it-all. 1. You have an appreciably better chance of being happy in some other line of work. For the sake of your relationships, your wallet, your marriage (if this applies to you), your faith (if this applies to you), and your general contentment, consider the cost. Dental hygienists make very good money and can live almost anywhere in the world. For the recently successful among us, are there points I've missed? 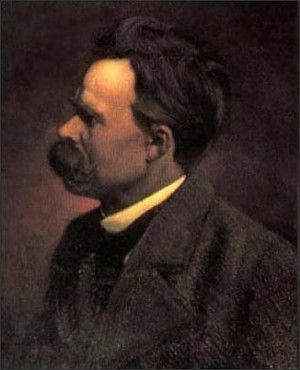 "There was just such a man when I was young—an Austrian who invented a new way of life and convinced himself that he was the chap to make it work. He tried to impose his reformation by the sword, and plunged the civilized world into misery and chaos. But the thing which this fellow had overlooked, my friend, was that he had a predecessor in the reformation business, called Jesus Christ. Perhaps we may assume that Jesus knew as much as the Austrian did about saving people. But the odd thing is that Jesus did not turn the disciples into storm troopers, burn down the Temple at Jerusalem, and fix the blame on Pontius Pilate. 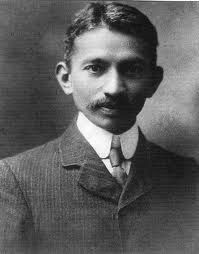 On the contrary, he made it clear that the business of the philosopher was to make ideas available, and not to impose them on people." I just finished a lovely skype with Elizabeth "Betty" Asche Douglas, artist, musician, and all around brilliant personality. I first met Douglas when I was leading a group of students on a "Theology and Visual Art" field trip last year. Our little group visited several museums, met with community organizers who use the visual arts to build up depressed communities, etc. One of the highlights of this trip was visiting the home and studio of Elizabeth Asche Douglas. 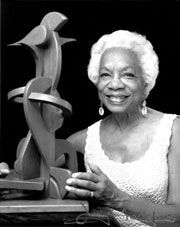 Douglas has been a mainstay on the American art scene for over four decades. She is well known to Jazz lovers as well. 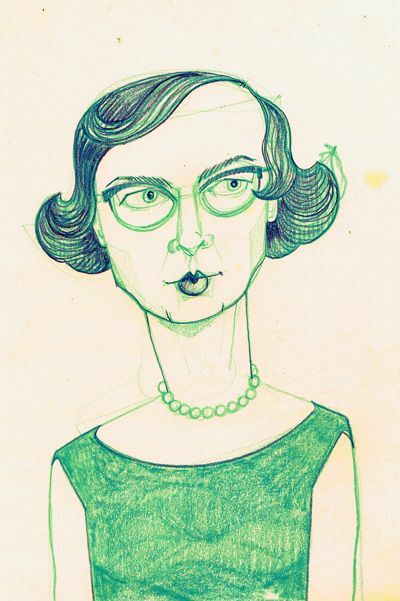 A true polymath, she also has written several essays on theology and art. Our little group was especially fortunate to meet her because one of our destinations was the Andy Warhol museum in Pittsburgh, PA. Betty knew Warhol (they were both students together in New York) and she shed some very interesting light on his early years for us. In my post yesterday about Allison's thesis, I told you that he has cast off (what he calls) the crutches of the traditional authenticity criteria. He decided between the publications of Resurrecting Jesus and Constructing Jesus that the criteria (Dissimilarity, Coherence, Semitisms, Multiple Attestation, Multiple Forms, etc) were just in the way. I do not think that Dale Allison is throwing out the baby with the bath water. What Allison has done is to take the logic behind the criteria of multiple forms, multiple attestation and coherence and applied them on a macro level. By "macro level" I mean that he does not attempt "authenticate" small units (episodes, pericopes, etc) with the Jesus tradition. Rather he tries to analyze the tradition as a whole. The logic behind the criterion of multiple forms is that if an element of the Jesus tradition is repeated in multiple genres within the tradition is probably represents something that Jesus talked about and not something that was entirely invented by early Christianity. For example, Jesus talks about the Kingdom of God in parables, in short sayings, and during exorcism stories. It is a topic that seems to have impacted multiple kinds of tradition. The idea behind the criterion of multiple attestation is that if an element of the Jesus tradition is present in multiple and independent sources, it probably represents something that Jesus said or did. For example, Jesus is purported to have been crucified by the Synoptics, John, Paul, Josephus, and the Alexamenos graffito. This element of the Gospel narrative seems to have been assumed by varied and relatively independent sources. The idea behind the criterion of coherence is that elements of the Jesus tradition that correspond well with undisputed historical claims about Jesus give us a fuller picture of who Jesus was and the kinds of things he preached about. have had a friendly attitude toward the outcasts of society. Notice here that he uses the phrase “diversity of forms”…. Notice also that he appeals to multiple sources… notice finally that he asks “what holds them all together?” –These are very important observations that Dodd is making and that Allison is affirming. It is a very compelling argument because there is a force of logic behind it. And, of course, those that employ the traditional criteria notice the essence of this logic. In short, Dale claims that he is walking without the crutches of the traditional criteria, but he is still using the logic behind some of these criteria. It is unfortunate that the criteria of Multiple Forms, Multiple Attestation and Coherence have employed these as shortcuts, but the logic behind these criteria still has a place in the analysis of tradition. I agree with Dale that isolating smaller elements within the Jesus tradition is not a helpful first step and can mislead the analysis of the tradition. But I’m not so sure that classification and analysis are always doomed to fail. And I don’t think that Dale has a problem with steps two and three either. He tells us that “it don’t come easy” – absolutely! Jesus research is complicated business and deserves our sweat and our humility. It don’t come easy – but it is equally true that sweat and humility can sometimes help us achieve results. One bit of advice I give to folks who want to pursue a potential PhD supervisor is this: you shouldn't assume that previous book titles represent present interests. Even if that scholar authored a book two years ago, it might mean that it was a topic he was interested in ten years ago. Dale Allison is a good case in point. It seems that after each publication, he promptly decides that he really doesn't like what he wrote and this prompts him to write a new book. It very well could be that I like his work more than he does. Allison’s chapter in Jesus,Criteria, and the Demise of Authenticity is a must read if you’d like to see how historical Jesus research has changed in the past twenty years. It is an autobiographical reflection on his “disillusionment” with standard methods of historical-critical research. In successive publications, Allison tells us, he became less and less confident that the standard “criteria for authenticity” could deliver what they promised. In Constructing Jesus, he decides to abandon the traditional criteria or any attempt to “authenticate” individual sayings of or stories about Jesus. But what Allison undersells in his chapter, perhaps due to the fact that he has the verve of a funeral director, is that all is not lost. Indeed, Allison offers us a compelling portrait of the historical Jesus without these traditional criteria. He summarizes his method quite succinctly in Jesus, Criteria, and the Demise of Authenticity. Tune in tomorrow to hear my succinct summary of his succinct summary. I promise to be succinctly summative. Check out Michael Pahl's rustlings here. Luckily, the image does not show my typo from the German quotation (f where there should have been an ss as was kindly pointed out to me after). 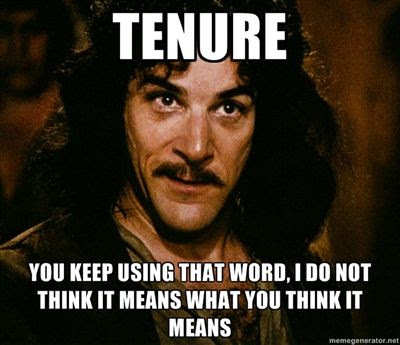 Luckily, I can correct this for my SBL presentation in Chicago. You can read Mark here. I'm planning to look at Joel Watt's live blog next here. Chris and I would like to thank everybody who made this conference possible. Specifically the folks at UTS (David Watson, and Robbie Collins), our presenters, Logos Software, Baker Academic and T&T Clark for taking a risk on this project. More to follow by way of reflection in the coming days. Until then, feel free to post any questions / comments that came up from the conference below. Please specify if the question or insult is for Chris or Anthony. Today I had the pleasure of meeting Dagmar Winter in person. She and I have corresponded for a couple years now but had never met in person. Tomorrow (well, later today) she will present on the topic of the Criterion of Double Dissimilarity. Her book The Quest for the Plausible Jesus (co-written with one of my heroes, Gerd Theissen) systematically destroyed a wildly successful (but misleading) notion within Jesus research. The idea behind this criterion for authenticity was as follows. If we can locate an element of Jesus' preaching that (1) has no parallel with Second Temple Judaism and (2) has no parallel with Early Christianity, we can be assured that this saying was not invented. To be fair to Bultmann and company, the idea here was not to argue that Jesus could have only preached completely original sermons. Nor were they arguing that Jesus had nothing in common with his social context. 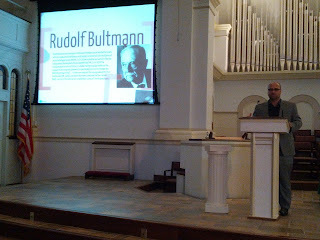 Bultmann was very interested in locating Jesus within his time and place. What the Form Critics were arguing is that our safest and most solid ground for discussing what Jesus sounded like (before he became a mouth-piece for Christian doctrine anachronistically) is to locate Jesus' most innovative sayings. Sayings that don't borrow from Judaism or Christianity. This criterion became a guidepost for three (perhaps four) generations of Jesus scholarship. Today we begin our conference related to the topics covered in this book. Through the power of modern technology and bit of gumption, we have been able to live-stream the bulk of our conference proceedings via the United Theological Seminary website. We do not anticipate that there will be any problems with this connection, but we cannot help you troubleshoot if a technological problem prohibits your computer from accessing the audio/visual stream. I have included our schedule of events here (Eastern U.S. timezone), please note that we will not be able to stream the two roundtable discussions scheduled for Friday. Our deepest gratitude to the folks at UTS and UDayton for providing us a venue and for making this available on the internet.